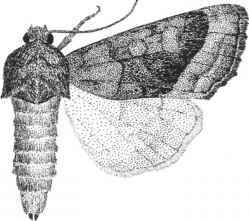 This moth is a minor pest of crops such as barley, beet, hop, maize, onion, potato, rhubarb, strawberry and wheat. Larvae (sometimes known as 'potato stem borers') tunnel singly within the crowns or stems; attacked plants are weakened and may wilt and die. 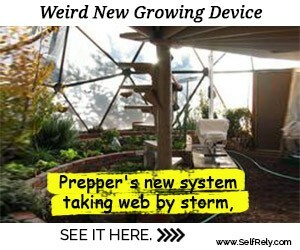 Infestations are particularly likely to occur in weedy sites. Moths occur from August to October or November. Eggs are laid on low-growing plants, including many weeds, but do not hatch until the following spring. Larvae feed from spring onwards, and then often invade crop plants. Larval development is usually completed in July or August. Individuals then pupate in the soil but without forming cocoons. Fig. 322 Rosy rustic moth, Hydraecia micacea (x3). able conditions, there may be a partial second generation. 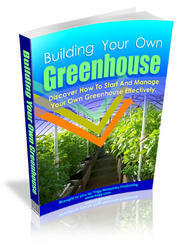 As many as three generations can occur in heated glasshouses. Adult 35-40 mm wingspan; forewings purplish-brown, with a yellowish stigma and a whitish, irregular subterminal line; hindwings greyish. Egg hemispherical, ribbed and reticulated, whitish to greenish. Larva up to 40 mm long; body green or brown, speckled finely with white and with a pale subspiracular stripe; spiracles white, ringed with black; head pale brown; (Plate 15c). Pupa 16-19mm long, dark brown to black and coarsely sculptured; cremaster with two T-headed spines. slender, dull pinkish to dark brown: pinacula blackish-brown; head yellowish-brown and glossy; prothoracic plate yellowish-brown, marked with brown anteriorly (Plate 15b). This often common pest attacks various herbaceous plants, but is of greatest importance as a pest of glasshouse-grown vegetables, including cucumber and tomato. Although young larvae merely graze the leaves, older larvae cause extensive defoliation. They also tunnel into developing tomatoes, rendering the fruit unmarketable. The cabbage moth is a generally common and often important pest of vegetable crops, including brassicas, lettuce, onion, pea and sweet corn. Infestations often occur in glasshouses, especially on lettuce and sweet pepper and, less often, other crops, including ornamentals. The young larvae graze on the surface of leaves, leaving the upper epidermis intact ('windowing' symptom) (Plate 15d) but older larvae bite right through the lamina. The larvae also burrow into the heart of cabbages and foul plants with their frass. Moths fly mainly in June and July. Eggs are laid in large batches of 20-30 on the underside of leaves of host plants and hatch within about 2 weeks. Larvae feed for about 5 weeks and then pupate in the soil, each in a flimsy cocoon. Adults usually emerge in the following spring but, under favourable conditions (especially under glass), a partial second generation emerges in the late summer or early autumn. ous whitish markings; hindwings brownish. Egg hemispherical, distinctly ribbed and reticulated; mainly whitish, becoming brownish. Larva up to 45 mm long; body varying from green to blackish-brown, with blackish markings along the back (these form a saddle-like mark on the slightly humped eighth abdominal segment), and a pale spiracular band; spiracles white with black rims; head pale brown. Young larva pale green and shiny, speckled with black; later, banded with yellow intersegmentally. Pupa 1722 mm long, reddish-brown and finely sculptured; cremaster with two short, hooked spines.